This song is from the 1966 musical Walkin’ Happy. The song, however, had been written seven years earlier for a Fred Astaire film that was never made. 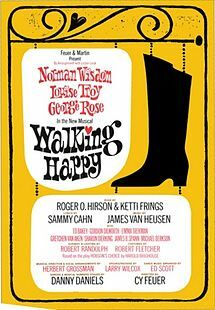 “Walkin’ Happy” was recorded on May 26, 1998 and features the Ralph Sharon Quartet, with Gray Sargent (guitar), Paul Langosch (bass) and Clayton Cameron (drums). This recorded is a previously unreleased outtake from The Playground.